These are our troubleshooting as your kind reference to solve your problems. we had professional team to make sure the effectiveness on your item. To help you reduce problems. 2. When you took out of your item, please check it and make sure it was 100% same as our advertisement. If it was not, please do feel free to contact us to get assistance. We will take responsibility for your all loss. 3. If you found the item was incompatible or defective, Please contact us,we will ship another one quickly. After you received another effective one,we will refund you shipping charge for returning the defective one. 4. We had a well trained team to take all responsibility for after selling service. We are appreciated that you could contact us to get the most effective assistance. We will build the most convenient communication to help you install your item correctly. Even we will solve your unpredictable problems on communicating with each other. 5. Please do contact us when you need any assistance, we promised to reply your issues in 2 hours. 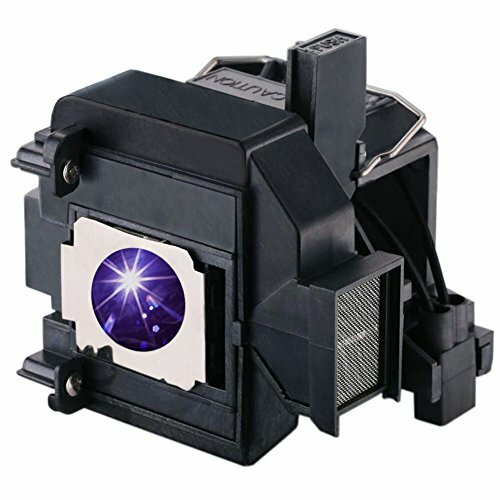 YOSUN new replacement Projector bulb with housing. Perfect match is only applicable to your correct Projector model. Branded manufacture: YOSUN 100% new replacement Projector lamp bulb with same functioning as your original one. Perfectly match and compatible for your Projector. INSTALLATION AND SAFTY: You will find it is quite easy to install it into your Projector as the ways you are taking out your old lamp. WARRANTY AND RETURN: New replaced lamp will be shipped to you when your bulb was out of work naturally in 180 days. Refundable issue, please contacts our 24 hours/7 days customer service. It is our appreciations if you need any further assistance. If you have any questions about this product by YOSUN, contact us by completing and submitting the form below. If you are looking for a specif part number, please include it with your message.